A Dubai Health Authority study indicates number of women diagnosed with breast cancer in the UAE has gone up by 20% in the last six years. Dubai: Sleep quality and sleep duration have been subjects of study for many sleep therapists as well as medical practitioners. However, in recent years, inadequate sleep has been associated not just with obesity, diabetes, stroke and heart disease but, with cancer too. Sleep disturbances are many, right from stress, illness, drug treatment to ageing and Quality Sleep is associated with healing. It is important that adults catch up with at least 7-8 hours of good night’s sleep daily for sound mental health and proper functioning of immunity system. On a biological level, lack of sleep can increase inflammation and disrupt normal immune function; both of which may promote cancer development. Also, the hormone ‘Melatonin’ that’s produced when we sleep may have antioxidant properties that help prevent cellular damage. A good night’s sleep may be one weapon in the fight against cancer as night-time Melatonin is a relevant anticancer signal. Women who sleep less than six hours a night could be raising the risk of breast cancer by more than 60%. Researchers believe that the natural sleep/wake pattern for humans is the one most in tune with our inherent circadian rhythms. The natural circadian rhythm consists of daytime exposure to intense sunlight alternating with night-times of near total darkness. This sleep-wake cycle is important for the production of melatonin, which acts as an internal biological clock regulating body temperature, endocrine functions, and a number of disease processes including heart attack, stroke and cancer. Wake up and go to bed the same time every day. Do not nap in the afternoon if you intend to complete your 7-8 hours of sleep cycle during the night. Avoid caffeine, nicotine and alcohol at least 4-6 hours before bed. Don’t exercise at least 4 hours before bedtime. Develop sleep rituals, such as listening to relaxing music, reading something soothing for 15 minutes and having a cup of caffeine-free tea. Have a light snack before bed: Good options include yogurt, skim milk or cherry juice. Practice relaxation techniques, such as deep breathing and progressive muscle relaxation. Indulge in stimulus control, which involves limiting time awake in bed and viewing the bed only as a place for sleep. Ensure sleep hygiene, such as avoiding heavy meals and television before bed. 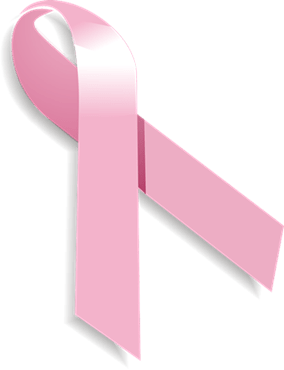 Breast Cancer is one of the most commonly diagnosed invasive cancers and evidence is increasing to suggest a link between poor sleep and an increased risk of breast cancer. If you have chronic sleep problems, a good night’s sleep may seem a distant dream. There are several therapies though to improve sleep. You could definitely benefit by visiting a sleep specialist as clinical intervention is required to re-establish a desirable sleep-wake cycle.